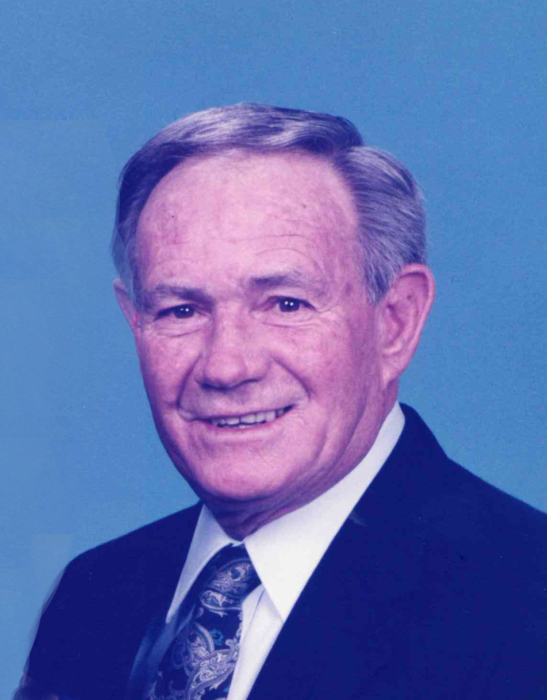 William Vance Watson, 86, passed away peacefully Tuesday, February 12, 2019 at his home in Knightdale. William was born in Alamance County on June 9, 1932 to the late George Hawkins Watson and Alice Young Watson Washington. He was a car salesman with Sir Walter Chevrolet downtown and then to Bobby Murray Chevrolet where he retired after 30 years of service. He was a volunteer fireman with the Eastern Wake Fire Dept. and a great friend to many. He had a full and active life devoting much time helping others who struggled with their personal problems one day at a time as he did until God called him home. The family will receive relatives and friends from 6:00 pm to 8:00 pm Thursday, February 14, 2019 at L. Harold Poole Funeral Service & Crematory, 944 Old Knight Road, Knightdale, 27545. Private graveside will be held at Bethlehem Baptist Church Cemetery. Surviving: wife of 66 years, Doris Daughtry Watson; daughters: Bonnie Jean Watson, Melody Joy Poole; son, William Vance “Van” Watson, Jr.; granddaughter, Lauren Ashley Poole; great-grandchildren: Jordan, Kinsley, Layla; sister, Inez Catlette. In addition to his parents, William was preceded in death by brother, Donald Ray Watson. In lieu of flowers, memorial contributions may be made to Transitions LifeCare.